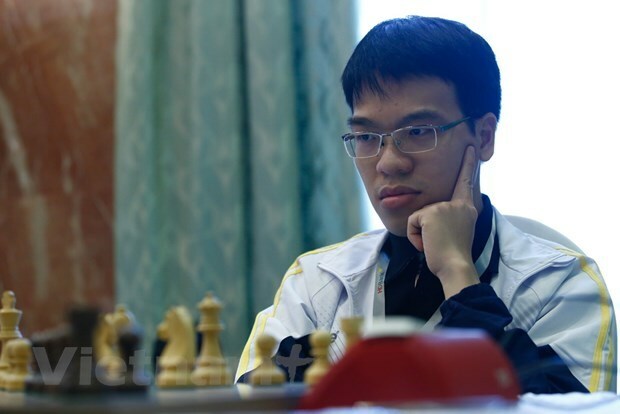 Hanoi (VNA) – Vietnamese Grandmaster Le Quang Liem beat his Indian rival Raunak Sadhwani after 58 moves in the final round of the 2019 Sharjah Masters International Chess Championship in the UAE. With only six points after nine rounds, Liem ranked 20th at the tournament. He retained his Elo at 2,703, standing at 36th in the world rankings. Meanwhile, Liem’s teammate Nguyen Anh Khoi lost to Alireza Firouzja of Iran in the last round. Khoi ranked 15th at the championship and his Elo would be raised to 2,504 in April, one of the conditions for him to obtain the Grandmaster title. Earlier, Khoi defeated Liem after 45 moves in the eighth round at the 2019 Sharjah Masters International Chess Championship. The tournament was held in the UAE from March 22-30, attracting 178 chess players from all parts of the world.